Despite recommending that iPhone 4 users should stick with their devices for another year… I’ve changed to the iPhone 4S. It’s a lot easier to get hold of an iPhone 4S in Singapore now (compared to the iPhone 3GS and iPhone 4) as most telco companies, especially Singtel, did away with their messy and unreliable “queue” system for walk-in purchases. The greatest motivation to upgrade? Since I’m reading Interactive Media this semester, I thought it would be enlightening to get a first-hand experience with conversational interfaces. Personal assistants and chatbots have come a long way since the Eliza – the pseudo-psychiatrist robot – spoke to bewildered new media majors, all struggling with their term papers on interactivity. Okay, that’s a lie. Hahaha. So anyway, what do you really gain if you upgrade? You should definitely upgrade as these devices do not support iOS 5. Anyway, the voice-recognition ability of Siri is astonishing. In the particular way that it can understand what I’m saying most of the time. There was no need for any accents, or at least, I just spoke normally in Standard Singapore English (NOT Singlish). 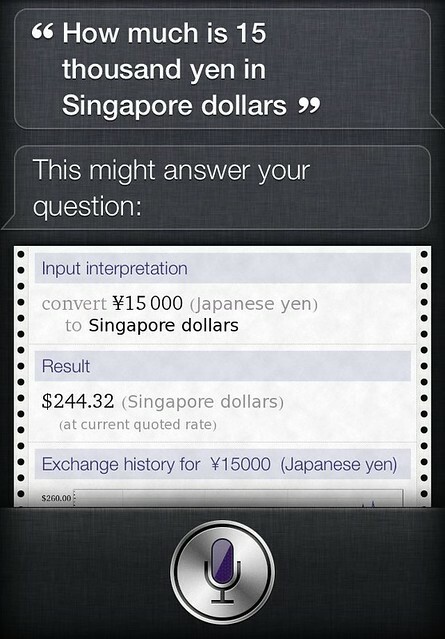 I believe Siri will work for most Singaporeans with no problems. As long as you speak in complete sentences and enunciate words clearly, Siri will be able to recognise commands. However, special care must be taken when it comes to diction. Any awkward break, or “errrr/hmmmm/lahhh” sort of thing will throw the voice recognition off. 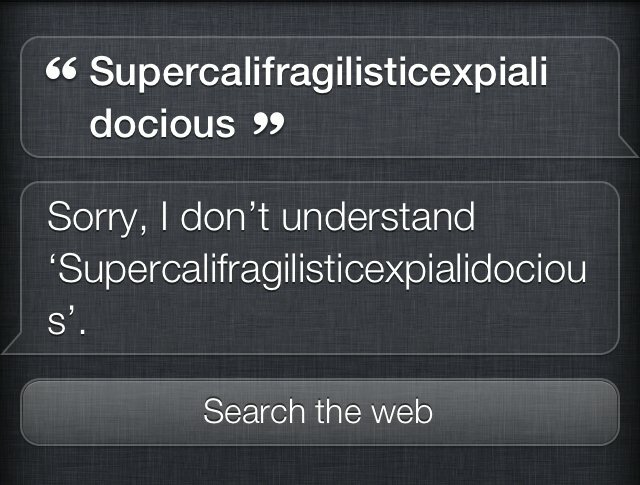 If you happen to speak like this then there is no chance that Siri will work. One thing to note, Siri requires an internet connection at all times for it to function. 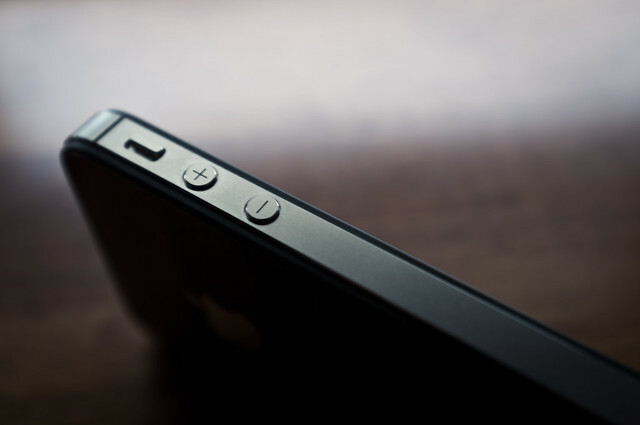 Voice processing (and finding answers) occurs at Apple’s servers – The Siri interface basically compresses your voice data and sends it to Apple. Eventually, Siri will learn the nuances and speech habits of its owner. 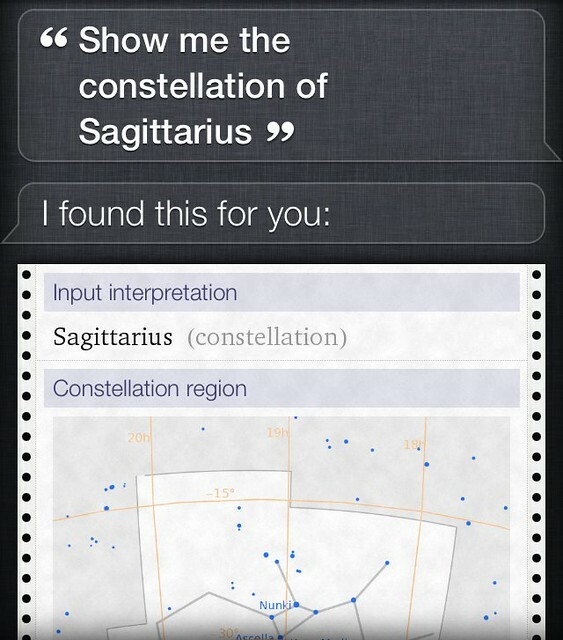 Siri will become more useful in 2012 when location-based search is available in Singapore. Siri could interpret this sentence and run a conversion through Wolfram Alpha. Wolfram Alpha processes most of the questions. 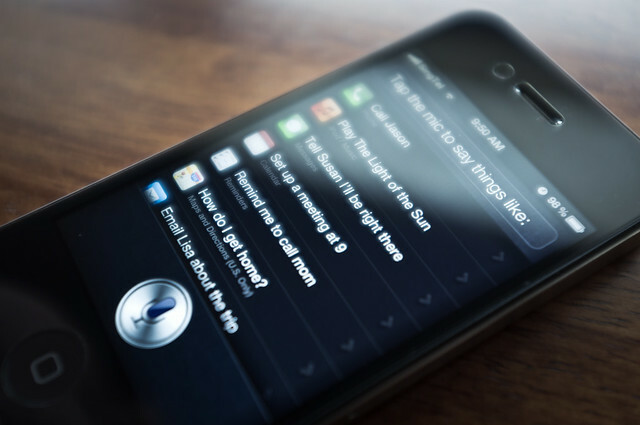 If you are familiar with its capabilities, then Siri simply acts as the voice-recognition agent. 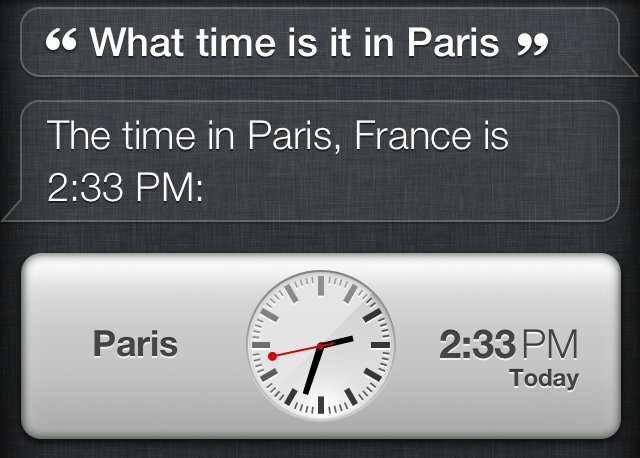 I’m not sure if Siri is made for people who have little time (or just plain lazy) to use Apps. While Siri does makes things easy (such as setting reminders and calendar events), it does get very tiring after a while to keep speaking to the iPhone. And to test just how powerful the voice recognition engine is, I have this image to show, courtesy of my sister who first tried this out.